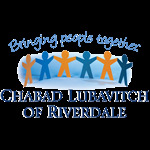 Chabad of Riverdale’s website attracts local as well as regional audiences interested in services and opportunities. Our site's traffic is growing by leaps and bounds since we have initiated an aggressive and successful promotion campaign and now boasts statistics of close to 200 visitors daily! We promote our events daily via various means and each event listing features our website. Your ad will appear of course alongside every single event reservation page amongst the other 100,000 pages on our site! Chabad of Riverdale is a good investment for your advertising dollars. Our rates will rise as our hits per month increase; however, we will honor all advertising prepaid at the current rates. Due to the limited advertising space on the website, the ads will be rotated, with a viewing average of 50% per page view. This is an opportunity to help us and help grow your business. Ad Design: available for an additional fee: $100 per single-image ad. $200 per flash ad.